Learn more about WebEx online meeting software with customer reviews, ratings, pricing information and frequently asked questions. 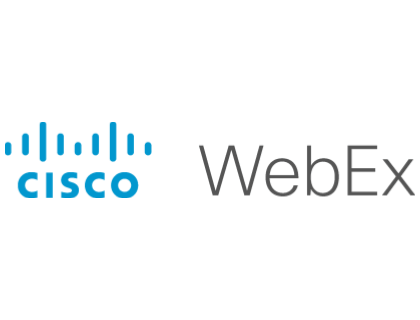 WebEx is a subsidiary of Cisco that sells communications solutions like video conferencing, online collaboration and web conferencing software for businesses. Pros: Affordable plans. Good video quality. Cons: Video call features are more limited than other platforms. 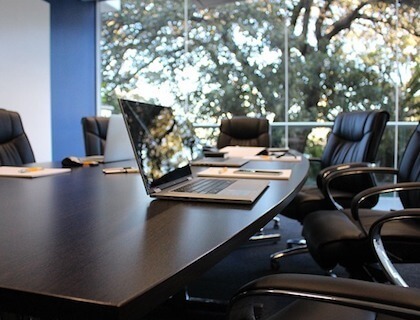 Bottomline: A reliable and affordable video conferencing solution. What is the price range for WebEx communications software? WexEx's monthly plans range in price from $24.00 to $89.00 per month. How do I sign into my Cisco WebEx account? To access your WebEx login, go to webex.com and click "Sign In" at the top of the page. Is there a way to add WebEx to Outlook? There is a WebEx Outlook plugin so that you can integrate WebEx into your Outlook account. To use the plugin, select "Microsoft Outlook" under the "Email and scheduling" settings. Is there a WebEx app for mobile devices? Yes. You can use the WebEx download on iOS or Android devices to have Cisco video conferencing and Cisco WebEx meetings on the go. How do I start a WebEx meeting? To start your own meeting, go to webex.com and sign in, then click "Host" and add participants to the meeting. You can also create a WebEx test meeting to test your sound quality and internet speed before starting a conference call. Participants can join the WebEx meeting when they receive your invitation. WebEx and Gotomeeting are very similar in price, and the features and capabilities of both meeting platforms are similar, but WebEx has a significant advantage when it comes to integrations and plugins. Is there a WebEx Linux version? Web Ex does support Linux operating systems. In order to access the software on a web browser when using Linux, you need to use Firefox. Can I test the software out with a WebEx free trial? You can sign up for the WebEx free version and use it for up to three people. The features of the free version are limited, but it will give you a feel for how the software works. What is the WebEx player? The WebEx player is where you can play recorded calls, share recordings and edit them for internal company use. This is one of the best WebEx productivity tools for relaying information and training new employees. What is the easiest way to join a meeting or consult with WebEx support? If you go to pattersonsupport.webex.com you can enter the meeting room number and join instantly. You can also start a chat with support to fix your technical issues. Are there any WebEx alternatives? We use and like WebEx because we can lock out anyone or add them to a call. Yes it costs. But you get the security you pay for. And the host can record the meeting. Webex has always been super reliable, definitely more so than Skype.